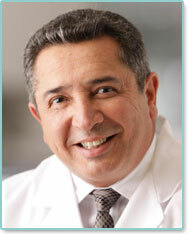 Fernando Colon, MD is the leading provider of the QuickLift® Face Lift procedure in the Columbus, Ohio area. Dr. Fernando Colon is board certified by the American Board of Plastic Surgery and received his medical degree from the University of Central Del Este Medical School in the Dominican Republic. Having excelled at his general surgery residency at Mount Carmel Medical Center in Columbus, Ohio, Dr. Colon went on to complete his plastic and reconstructive surgery residency at Wayne State University in Detroit, Michigan. During his residency at Wayne State University, Dr. Colon worked with some of the country's most prestigious plastic surgery institutions including Manhattan Eye and Ear Hospital, Kresge Eye Institute, and Wayne State University affiliated hospitals. With nearly 19 years of experience performing cosmetic plastic surgery as well as aesthetic, anti aging, and reconstructive procedures, plastic surgeon Dr. Colon brings the latest advancements and skills to The Skin Center Medical Spa from his affiliations with Mount Carmel Medical Center, Riverside Methodist Hospital and Genesis Cosmetic & Laser Surgery Center. Plastic surgeon Dr. Colon is the medical director of The Skin Center in Columbus, Ohio (OH) and his extensive experience includes face lift procedures such as the popular QuickLift face lift as well as “non surgical” facelifts and body contouring procedures including Smart Lipo® laser liposuction. Over the years, Dr. Colon has earned the reputation of exceeding his patients' expectations by offering the finest results in the field of cosmetic plastic surgery, including minimally invasive facial rejuvenation treatments, anti aging technologies, and the QuickLift face lift procedure. He is board certified by the American Board of Plastic Surgeons and since 1995, and an active member of the American Society of Plastic Surgeons. In April 2003, he was re-certified by the American Board of Plastic Surgeons for plastic surgery procedures of the face and body.